It is silence, not screams of terror, which proclaims the end of the world...Minji Nordim is vacationing in Las Vegas with her small family when she witnesses the beginning of a terrifying apocalypse. When humanity is transformed into mindless drones by a terrifying supernatural event only Minji appears to be immune. Thousands die instantly, but the other affected people are drawn to the Nevada desert. Nothing stands in the way of the mesmerized. Not fire, not heights, not rubble. Vanguard Lindsay Rooney has faced the undead hordes of Inferi Scourge and lived to tell the tale, but she has also suffered horrible losses. 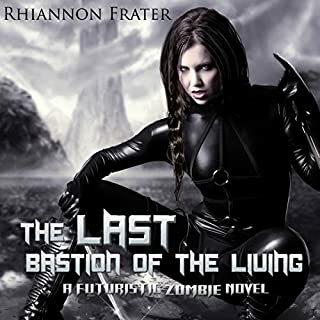 Like millions of other civilians, she had hoped that The Bastion would recover after a team of modified soldiers eradicated the undead hordes of Inferi Scourge that infested their valley. Yet the city still crumbles around them, along with any chance of survival. 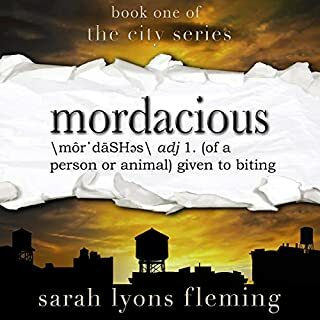 Lindsey's growing friendship with Torran MacDonald, an officer with the Science Warfare division, is her only solace as the decline of the city continues. 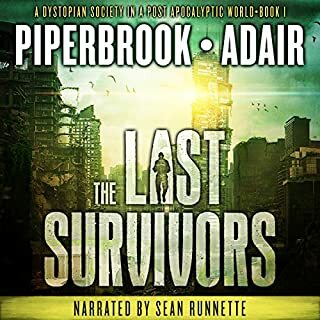 When food riots fill the streets, martial law is enacted, and the upper echelons of government battle for control of the city, Lindsey is conscripted by her superiors to embark on a dangerous mission into the dead world beyond The Bastion. To add even more complications, Torran and the SWD join the squad. 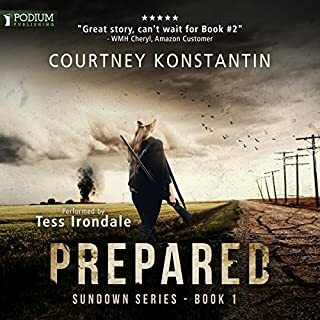 Soon Lindsey realizes that her mission is more than what it seems, and there are secrets that could both destroy The Bastion and take her life. 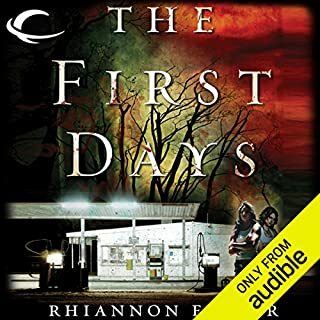 ©2014 Rhiannon Frater (P)2015 Audible, Inc. I'm sorry but this is probably the worst book I have listened to. I got about half way through before I couldn't listen anymore. I was really trying to give it a chance. The narrator had a really monotone voice which made it worse. There was not much of a storyline either. I simply couldnt finish this book. Utterly insignificant. How it has such high ratings is beyond me. 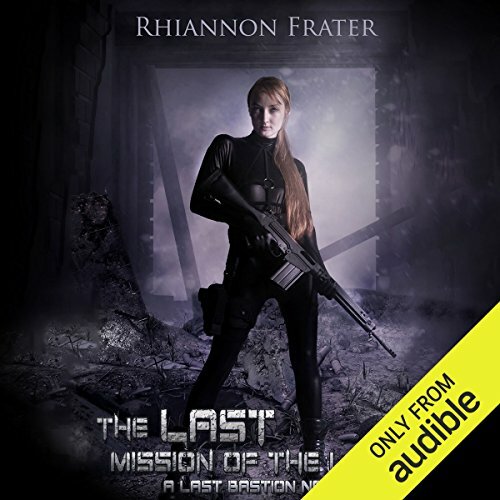 What made the experience of listening to The Last Mission of the Living the most enjoyable? I think the first was was better but this one is good. It sorta picks up where the first one left off but I think I really was looking forward to finding out what happened to Maria and Dwayne from the first novel. This one touches on that but the story is really not about them. kudos to CBC for hitting this one on the head. I feel exactly how she does, this book really is bad. The first two hours are strictly military, running around shooting type of stuff. When we get to the personal stuff, it is like soap opera, whinny teen stuff. Wow. This author is all over the place. This is the 3rd book of hers I have read. 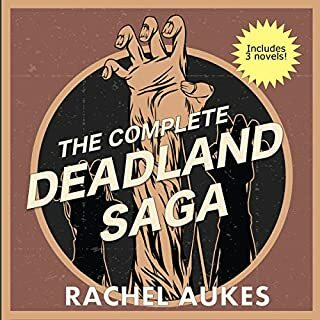 The first one (which was the first book in this series) was actually pretty good - slightly different take on zombies, slightly different world, and female characters who weren't completely useless. Then I read a book from a different series by her (The First Days) and... well... we will just say that, at that time, I said I would skip this author in the future, it was that bad. So, that brings us to this book. It is moderately-bad. Not bad-bad, just moderately bad. There is nothing about zombies in it, well, other than they exist and are the reason why any of the characters leave the city, but they do nothing in the story other than once they nearly kill the main character but, don't worry, she is saved by the knight in shining armor... I mean, by the male lead character. The story, if we can use the word 'story' here, consists of a cardboard couple trying to overcome obstacles so they can 'be together' and that is about it. If the first book in this series was an A, this one is a D, that is how different the quality of the storytelling is. I have returned to the realization that I will not be reading any of Frater's works in the future... one good book out of 3 just isn't enough. big fan of the author and have listed to her previous books. loved the first book and listened many times, but not as good as the first. hopefully the third will Rock.